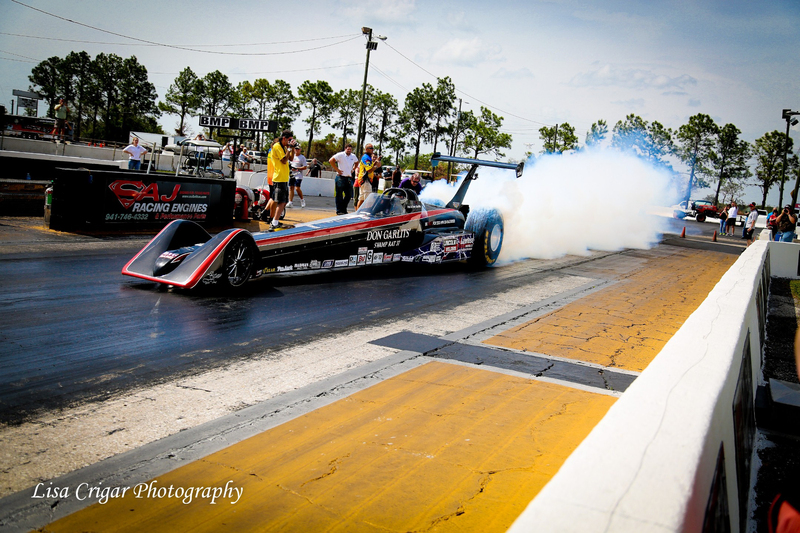 NEDRA members who have raced from 175 to 199 mph in the quarter mile. 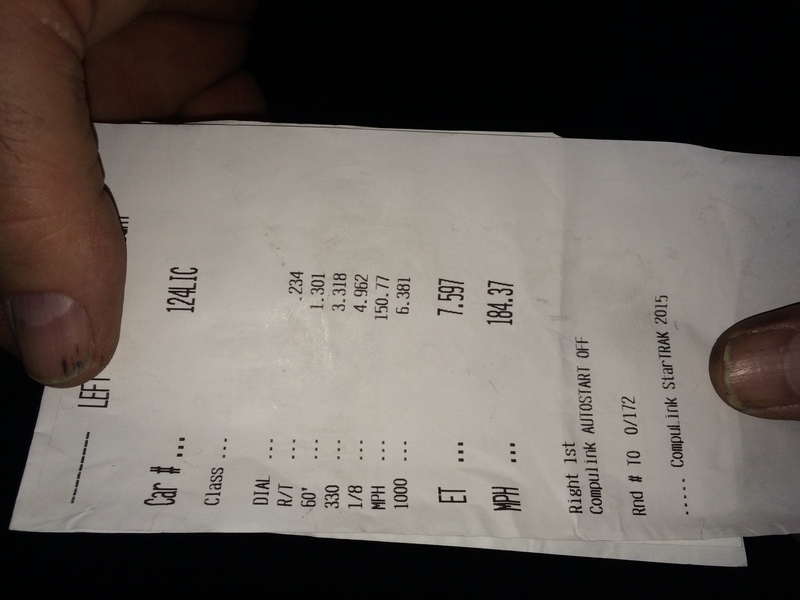 60ft: 1.301 1/8 mile ET: 7.597 sec. 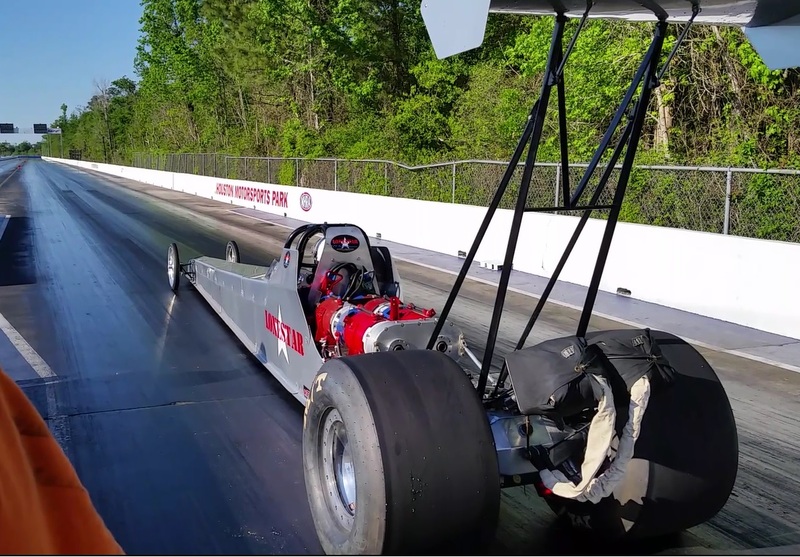 Specs: Panic in Detroit is driven by four Warp9 motors by Netgain, Helwig Carbon brushes, Manzanita Micro Zilla 2k-EHV's and Lonestar EV Performance Sleeper Cells, It is 2002 Joe Monden Top Dragster. Specs: 409 volts, 1.4 Megawatt lithium battery pack built by Derek Berger of HTS, 3 Zilla 2000 amp controllers, 6 7.2-inch GE Motors. 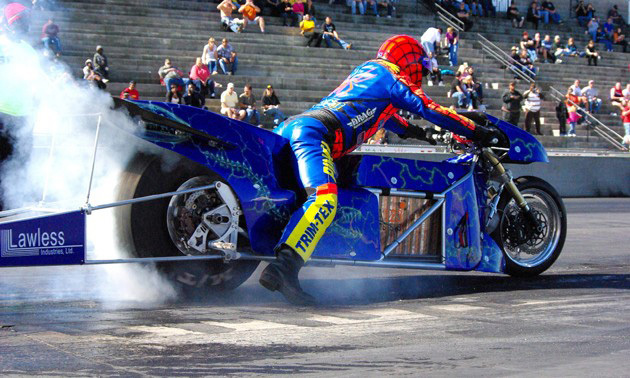 Dragster built by Mike Gerry and electric drive by Lawless Industries. Specs: 363 volts, A123 battery pack built by Derek Berger, Zilla 2000 amp controller, 13-inch GE Motor built by Dennis Berube. Bike constructed by Orange County Choppers as featured in the Lawless Bike Episode.